This recipe works brilliantly with all types of berries and it’s fun to experiment with other seasonal fruits too. Our favourites are blackberry (because we love foraging for them) and raspberry (because they’re a lovely colour)! Place the berries and syrup in a saucepan and cook over a medium heat for 5 minutes, until bubbling. Remove the pan from the hob and mash the fruit into a rough purée with a fork. Stir in the chia seeds. Return to the hob, lower the heat and simmer, stirring occasionally, for 5 minutes. Decant into a sterilised jar (fresh out of the dishwasher or dunked in boiling water). Put the lid on and set aside to cool. 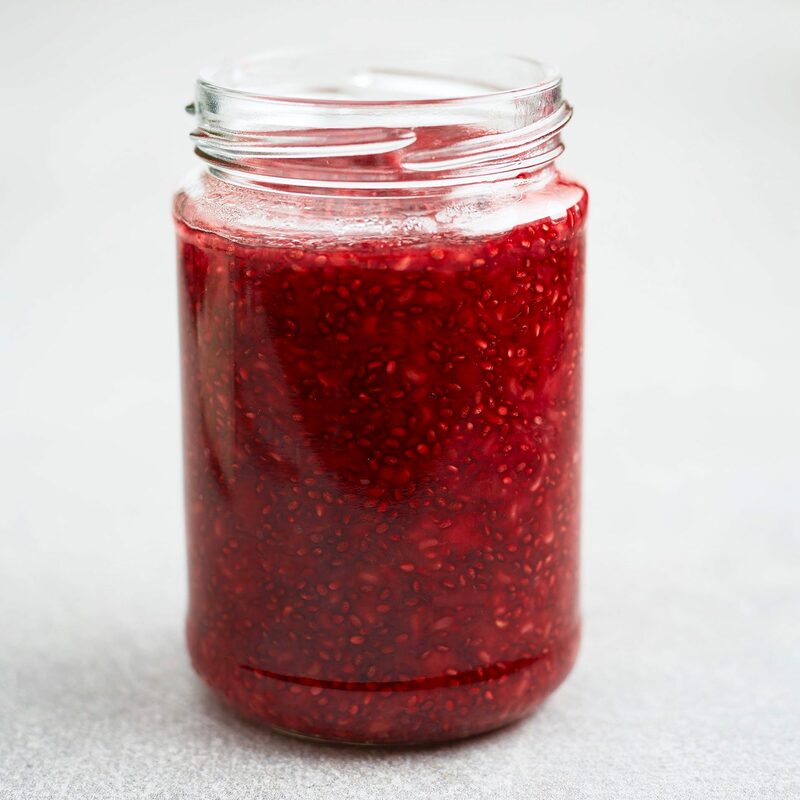 Your jam will keep in the fridge for up to 1 week. This and loads of other tasty recipes are in our cookbook ‘Superfood Breakfasts’. Available in bookshops, on Amazon and on the DK website. Published by DK in May 2016, £6.99. (DK.com) with gorgeous photos by Will Heap Photography.